Sammi Whelen drives the ball up the field in Indian River’s win over Sussex Tech on Tuesday, May 1. Skyler McClure and Jordyn Hogsten give each other a five during the matchup. Below, Fabrea McCray smiles for the camera during the game. Well, when you’re hot, you’re hot! 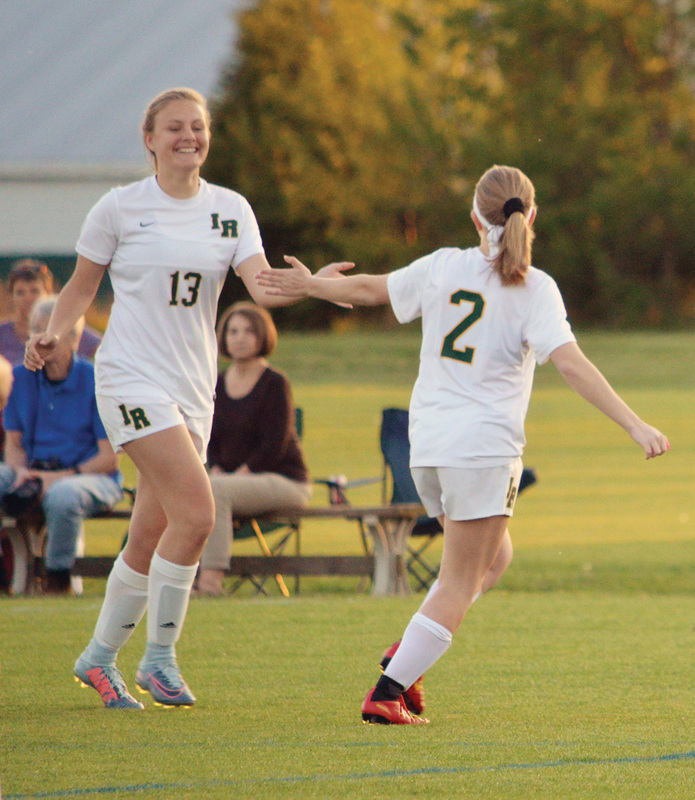 Such is the case for the Indian River High School girls’ soccer team right now, as on Tuesday night the squad posted their fifth straight win with a convincing 3-0 decision against rival Sussex Tech at the River Soccer Club complex on Gum Road. Isabella Binko scored in each half for the Indians, and Skyler McClure put the finishing touches on the rout with a goal of her own. Goalie Fabrea McCray made just three saves while facing only five shots, to pick up her third shutout victory of the season. Binko got the Indians on the board at the 19:30 mark of the first half with a touch shot past Tech goalie Valencia Whealton. The goal was set up off an amazing clearing kick from McCray, who was credited with the assist. The Indians outshot their guests 17-4 in the first half alone. It was a back-and-forth second half as both teams were pressuring the ball and getting close to their goals with no luck. Binko changed all that at 76:38, scoring on a rebound from a shot from Anabela Diakos to put IR up 2-0. Then McClure put the game away at 78:00, as she was able to put the ball inside the post off a beautiful crossing pass from Isabella Keith. And the fabulous freshman duo continues to lead the way for the Indians’ offense. Binko increased her team-high goal total on the season to 16, while Diakos has nine of her own. Collectively, they have scored 25 of the team’s 35 goals for the year. The Indians would also out-shoot the Ravens in the second half, 18-5, for a game advantage of 35-9. IR also picked up 10 corner-kick opportunities in the game, to Tech’s 3. 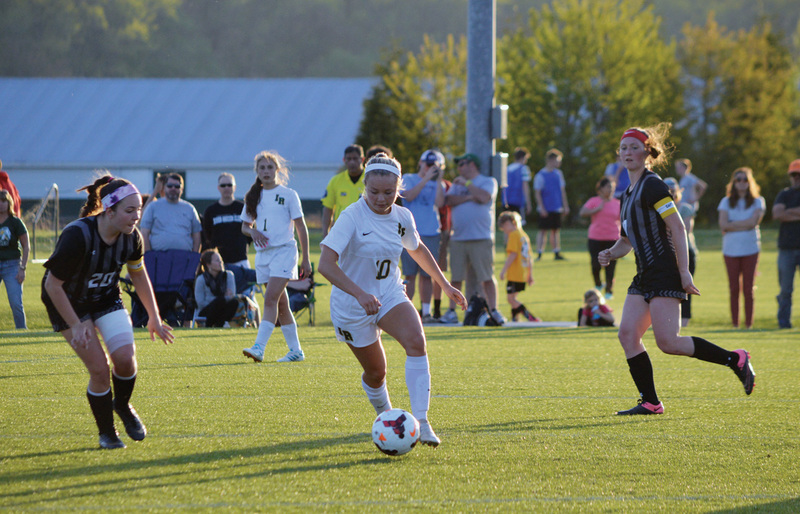 Free kick: The Indians were set to be in action on Thursday night, May 3, at River Soccer Club, against Milford. The game was played after Coastal Point press time, but you can find scores and highlights on our Facebook and Twitter pages. After the Milford game, the Indians will play four of their final five games on the road.